MILPITAS, Calif. -- Both crashes causing major blockages on Interstate Highway 880 this morning have cleared, California Highway Patrol officers said. The first crash was reported at about 4:45 a.m. on southbound Highway 880 just north of the West A Street off-ramp between San Lorenzo and Hayward. The crash involved a silver 1998 Honda Civic and a black Chevrolet Blazer, officers said. CHP issued a Sig-alert at 5:56 a.m. when the first three lanes were blocked off. 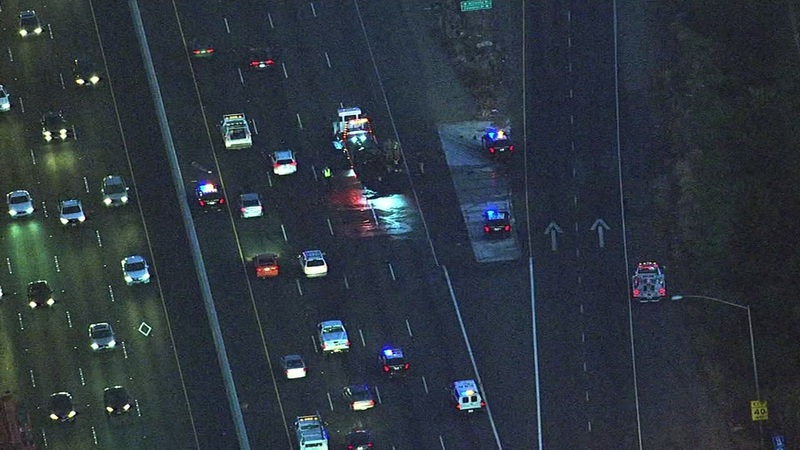 A second crash on Highway 880 in Milpitas is also cleared. The 10-car crash and car fire was reported at 5:26 a.m. on northbound Highway 880 at state Highway 237. CHP officers reported at 5:29 a.m. that a car was fully engulfed in fire. A Sig-alert was issued at 5:40 a.m. when all lanes were blocked. At 6:19 a.m., the first two lanes were reopened to traffic. The crash was fully cleared at 6:47 a.m.